Posted on 11, December 2017 by EuropaWire PR Editors | This entry was posted in Aviation & Aerospace, Defence, France, Industrial and tagged Dassault Aviation, Emmanuel Macron, Highness Sheikh Tamim bin Hamad Al Thani, Qatar Armed Forces, Rafale. Bookmark the permalink. In the presence of the President of the French Republic, Mr. Emmanuel Macron, and his Highness Sheikh Tamim bin Hamad Al Thani, the Qatar Armed Forces and Dassault Aviation signed an agreement on future cooperation and the exercise of an option for 12 Rafale. Saint-Cloud, France, 11-Dec-2017 — /EuropaWire/ — In the presence of the President of the French Republic, Mr. Emmanuel Macron, and his Highness Sheikh Tamim bin Hamad Al Thani, the Qatar Armed Forces and Dassault Aviation signed an agreement on future cooperation and the exercise of an option for 12 Rafale. 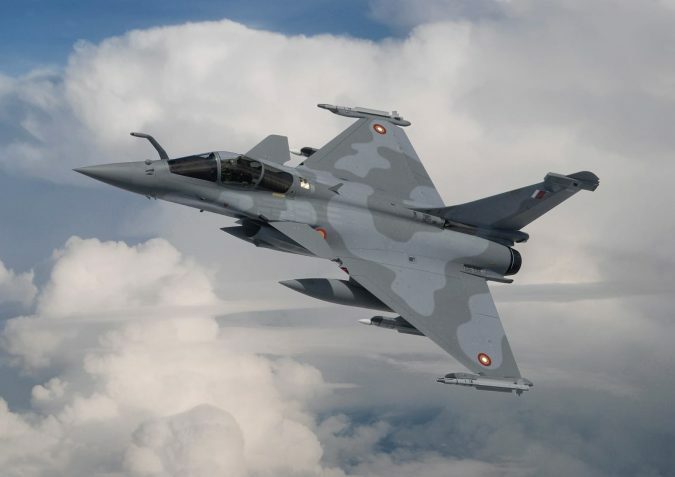 This new order follows on from the contract signed on 4 May 2015 between the State of Qatar and Dassault Aviation for the acquisition of 24 Rafale, thus raising the number of Rafale aircraft operated by the Qatar Emiri Air Force to 36. Dassault Aviation and its partners thank the Qatari Authorities for having given them the opportunity to enhance their collaboration by restating their confidence in the qualities of the Rafale and expressing their satisfaction with the performance of the main contract. “This new agreement is built around the special relationship that exists between the two countries and the shared determination, by the Defense Ministry of Qatar and Dassault Aviation, to move forwards together”,declared Eric Trappier, Chairman and CEO of Dassault Aviation.